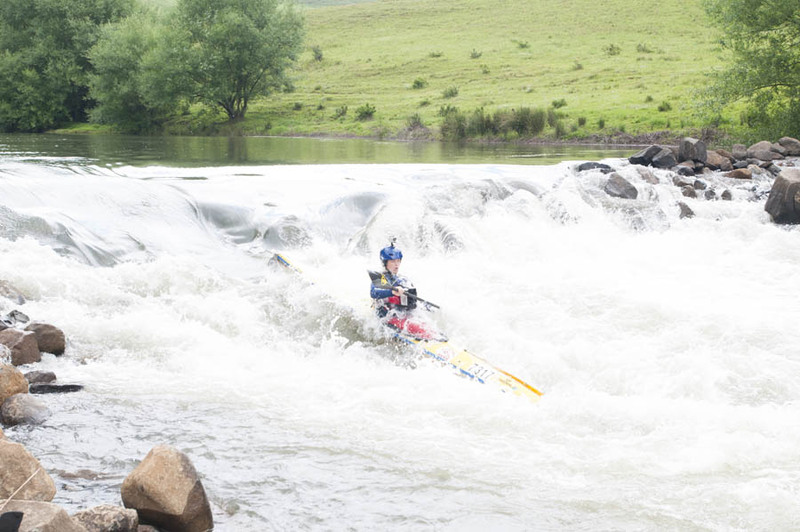 Named after the Scripture Union camp on the right hand bank, this rapid is a legend of the race! Boldly reshaped in 2009, the rapid now sports a steep drop entry, some big convergent waves that become rooster tails when it is full, and a full exit section. A large Oak tree hangs over the river and provides a good marker for the entry line, as the drop is not really visible from the top. Aim for the left hand side of the overhanging branch and you should be set up to enter on the tongue. At a medium level you will confront two big waves, but at a full level the first wave becomes bouncy ramp that shoots you into the second wave. The exit is left of centre – stay away from the rocks on the right, and should you fall out, swim your boat away from the rocks on the right.